for Full & Part Time positions. 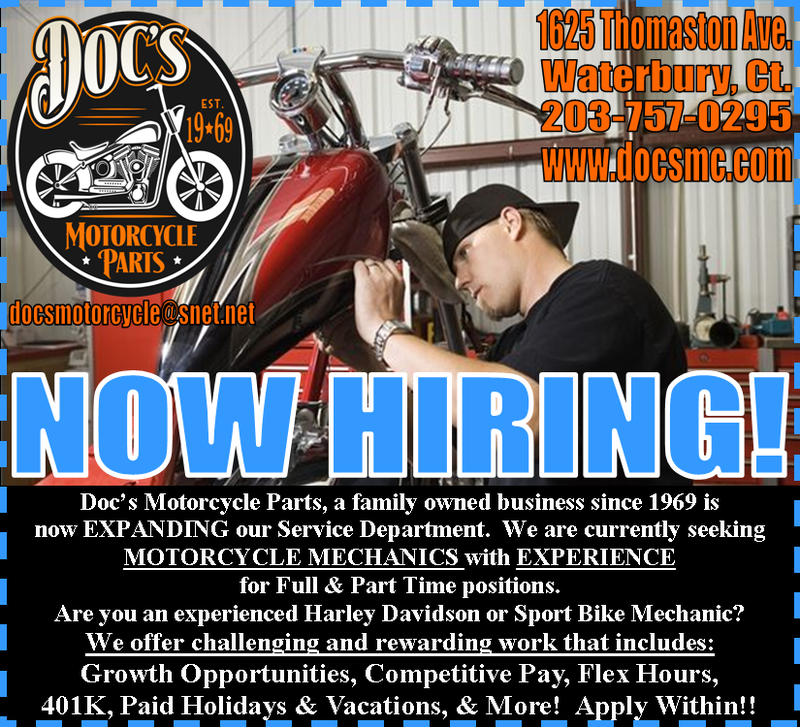 Are you an experienced Harley Davidson or Sport Bike Mechanic? 401K, Paid Holidays & Vacations, & More! Apply Within! !